Rebecca Coder died on May 1, 2018, at the age of 49. During her final decade of life—a time of great change in the West End neighborhood—she was an energetic community leader and public servant. To many of us who knew her, she was also a beloved friend and neighbor. A resident of the District of Columbia from childhood, she grew up in the Chevy Chase neighborhood of the District, and attended Woodrow Wilson High School, from which she was graduated in 1987. She received a Bachelor of Science degree from the University of Wisconsin-Madison in 1990, and returned to the District to begin a career in banking, initially at the American Security Bank. She joined the National Cooperative Bank in 1996, and became a senior vice president six years later. In 2002 she married Christopher Haspel; the couple purchased a condominium in the West End the same year. In 2003, she began writing about art exhibits and nearby galleries for the West End Guide, a local publication. Her first big neighborhood project, beginning in 2007, was the improvement of Francis Field, a neglected public recreation space. As a founder and the first president of the non-profit Friends of Francis Field, she shepherded a landscape architecture plan through the zoning and approval process. That began the transformation of a neighborhood nuisance into a community asset. She remained active in that group, and played a major role in the planting of 43 trees in May 2017. (See photo below). Her interest in the neighborhood and improving the field led to a suggestion by her neighbors that she run for election to the non-paid, non-partisan Advisory Neighborhood Commission (ANC) so that the West End might be better represented. She did so in 2008, defeating an incumbent, and winning 82 per cent of the votes cast. She was re-elected in 2010, 2012, 2014, and 2016, and was serving in her tenth year. The West End Library was in her single-member district. Its redevelopment became one of the projects that she steadfastly supported from the time of its initial suggestion in 2009. Her ANC colleagues elected her chairperson in January 2010. During that crucial time of regulatory hearings for the library redevelopment, she testified in several proceedings, including the District Council. As chair of the ANC, she introduced the resolution in favor of the library plan proposed by a local development team. That passed unanimously and became the crucial grass-roots foundation for community support of the West End Library project—support that stood up during a long and complicated process of regulation and legal challenges by interest groups located outside the neighborhood and outside the District. The redevelopment of the West End fire station was another of the successful projects she championed. In 2009, she was also instrumental in having a small park near the West End birthplace of jazz legend Duke Ellington named officially—by the District of Columbia and the U.S. Congress—as Duke Ellington Park. In 2013, at the age of 44, she became a founding board member of another non-profit, local organization: the Foggy Bottom/West End Village, which continues to assist its members to age in place. Rebecca Coder was a leader who seemed to personify the neighborhood that the West End was becoming in the last decade: smart, young, interesting, and upbeat. 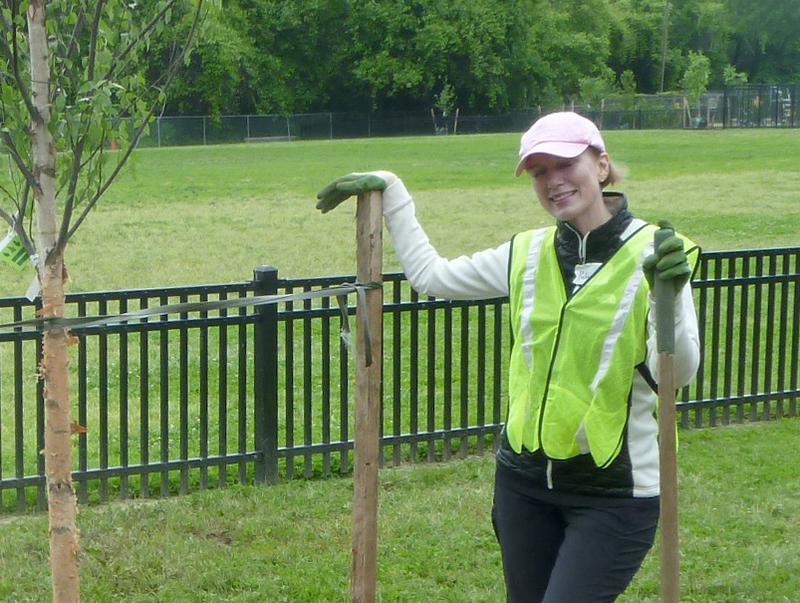 Her participation in the May 2017 tree planting—just one year ago—was typical of her easy, elegant manner. She picked up a shovel, dug in, and got the job done ... while she let others give the speeches. In addition to the large and visible projects she supported and advocated, she spent countless hours in her ANC role, attending mundane hearings before District agencies that were little noticed by the general public but meant the world to some unsung constituent or another. When some of us encouraged her to run for a more visible public office, she'd tilt her head and squint her eyes a little, as if she were really thinking about it. But we realized early on that her heart beat to a more beautiful rhythm. She was not a politician, but something much more rare—she was a volunteer—and a good neighbor ... and a beautiful friend. Despite her 13-year battle with ovarian cancer, Rebecca always seemed to find time to help others. One of her ANC colleagues remembered: "Rebecca was most poised person I've known ... she never got flustered and she was such a generous, fun, soul." Her intelligence, her graceful style, and her generosity with her time and resources, were noted by many. Another colleague remarked: "She leaves a living legacy anywhere you turn in the West End." Mayor Muriel Bowser described her as "a generous, caring and thoughtful woman who was always willing to help out in the community in any way possible." 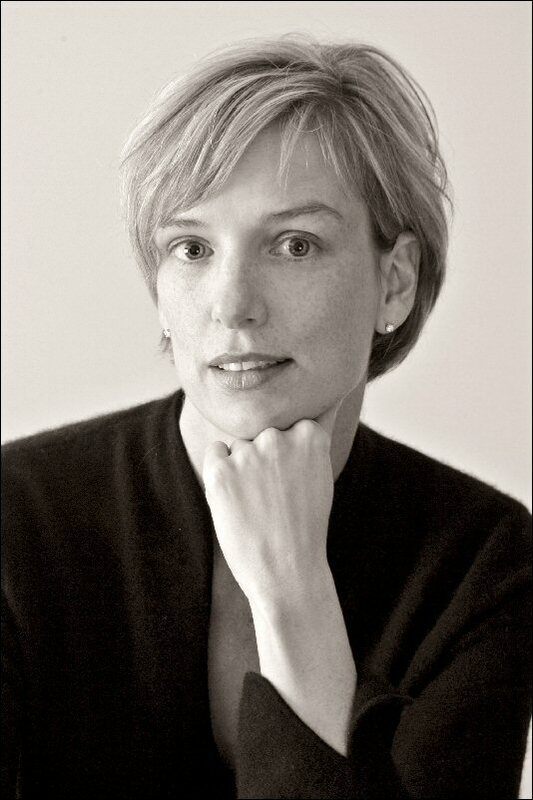 Rebecca Kilcummings Coder was born on January 4, 1969, in Edmonton, Alberta, Canada. She was adopted and brought to the United States that same year. When she was four years old, her family settled in Washington, DC. She is survived by her husband Christopher Haspel, her father David Coder, and her brother Joshua Coder. Her mother, Mary Katherine McDermott, died in 2016. A funeral mass for Rebecca was held at St. Stephen Martyr Church in the West End on May 10, with hundreds of her friends and neighbors in attendance. Memorials are in the planning stage at the West End Library and on Francis Field.